4.900Good cable, but larger diameter, AND inner twisted pair is too large to go through standard EZ connectors. Buy the right ones! This is fine cable but a warning to anyone purchasing it Outdoor Rated 23AWG Cat 6... The outside diameter is LARGER than normal CAT6 or CAT5 wire. ALSO the inner twisted pair wires are larger diameter! I had CAT6 EZ connectors and boots and we were not able to get ONE connector to work with this wire! The twisted pair wire would not go through the connectors at all! To credit I emailed them and received a reply very fast. I have ordered the plugs and boots and will try them and report back here later. I ran this cable throughout my second house and it works great. I run network cable on the side and normally buy from a wholesaler but they were out so I gave this cable a go and it worked wonderfully. Would recommend who needs bulk cable. Nice solid core cable if you don't need plenum rated. I should never run out of this for my purposes and terminates easily. Best bang for your buck! I cabled 10 network cameras in my home 2400 Sq ft with this spool and still have some in the box... Does not tangle up while taking it out of the box. I've used the entire roll and the only problem with it has been with a few small pieces I used outside. All my indoor runs have been reliable. 5.000Easy wire to work with. NOT copper clad aluminum!!! It is pure copper strands as it should be! Overall easy to work with. I am a supporter of pure copper wire instead of copper clad aluminum wire. Yes it is roughly 3x as expensive but I personally do not like any wiring that is aluminum--- whether it be all or part. Yes it may be fine but for me I will not do it. So with that this wire is pure copper. Cabled arrived on time for a home networking project box is nicely designed and cable is good and marked every 2 feet. Cable slightly kinked after pulling the first 20 feet but afterward I didnt have any issues. Good cable for the price I will buy more for my next project. 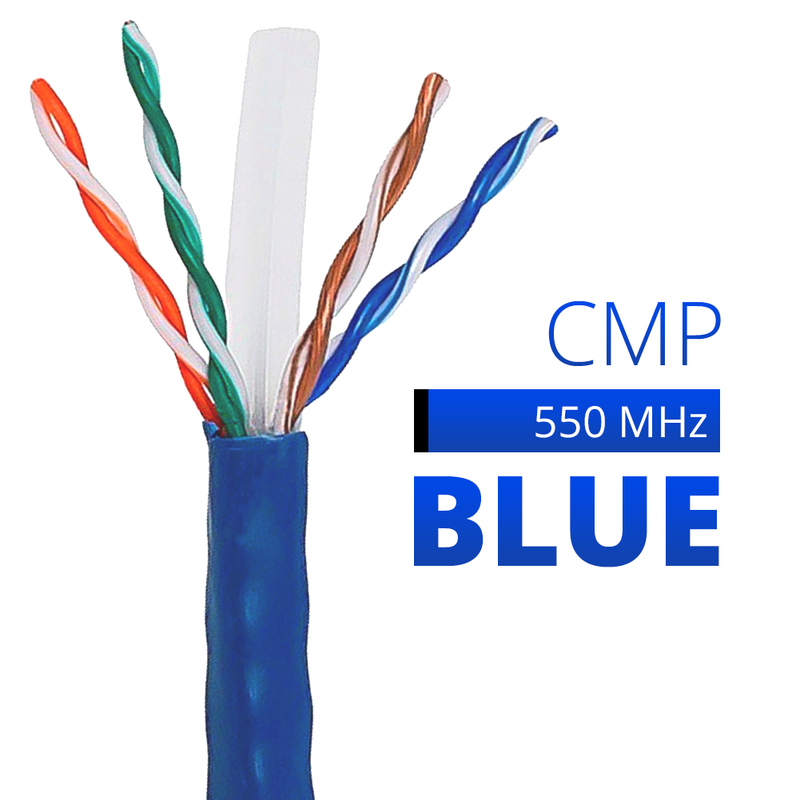 Great cat6 cable bit thicker than cat5e because the insulation or core plastic inside but not complains whatsoever. 4.100Very easy to pull from box! The Cat6 ethernet cable was one of the easiest pulling boxes I have ever bought. I've installed plenty of ethernet cables over the years but this one made it a lot easier by coming out so smoothly. The quality of the cable itself is very nice and I had no problems stapling it to the ceiling beams in my attic. I would buy more. Superb quality and very easy to work with. The twisted pairs are very easy to separate order and crimp. I highly recommend this and will be buying another box when I run out! Super easy wire to strip and terminate and I really liked that it is marked in 2' increments. This is very nice cable better than a lot of the other CAT 6 I have used before. I will order this again. 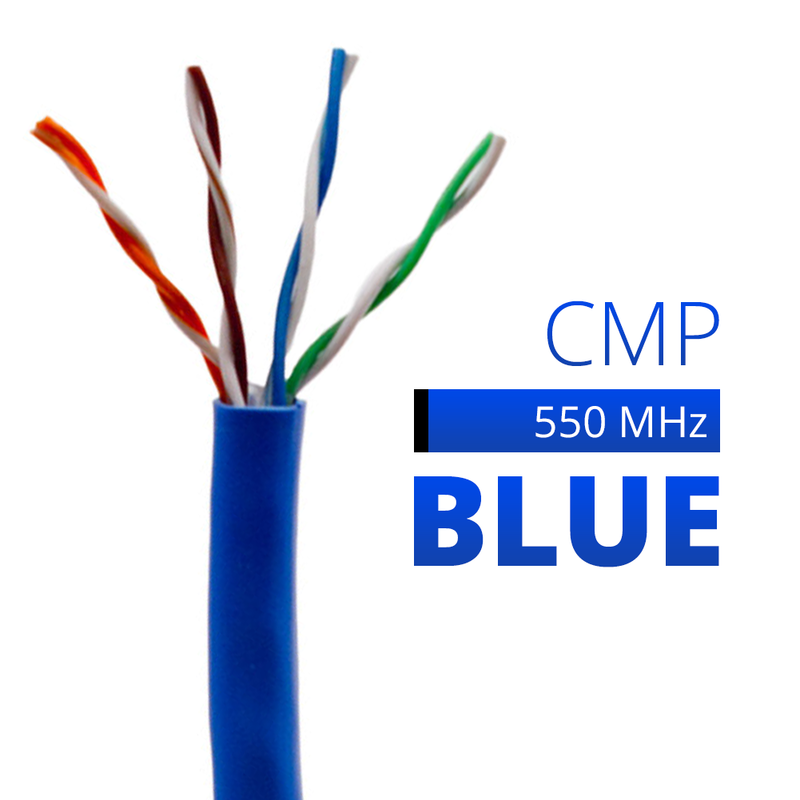 Great product great cable durability and signal. My only complaint is the stupid core it gets in the way more than it helps and it makes it difficult to get the wires arrayed properly to crimp on a cat6 plug. for the price this is a very minor issue. also buying pre-made cable is for suckers! buy this product and make your own it will save you a lot of money if you need more than a few 100 feet. This has been great for hard wiring my home. I would buy this again. Wired my house with this cable great quality and very reliable. Thanks! 4.900Great cable cat 6 is the way to go! Awesome cabling for home. Helps my internet lag issues. I def. recommend. Comments from husband. Nice quality product. Easy to work with. Functions perfectly if you put it in right. Cat 6 is different from Cat 5 or Cat 5e. Worked as well as I'd hoped. Dispensed easily and worked well with plugs and punchdown jacks. 4.100High quality and works perfectly for my POE Surveillance system for long runs 125 - 150 ft.
High quality and works perfectly for my POE Surveillance system for long runs 125 - 150 ft.
Great wire for a great price delivered right to the door. Also it was packaged very well. 4.300I think I over estimated my needs. This box is huge! I needed wire for my new house and this will do the job but I might of over estimated how much I needed or under estimated how much is a 1000' of cable. either way the wire is nice quality and will be easy to dispense in the box it came in. Cable is something that you never really see after to install it. Even then it either works or it doesn't. This cable seems to work great and its cheap so nothing to really complain about. I used this to wire my entire house with ethernet connection. I also used this to connect my POE IP Cameras to my switch and it works like a charm. This wire is very durable and easy to work with. I would HIGHLY recommend using this wire for any of your networking needs! High quality cable. Will def order again. Zero faults in the 12k ft I ran from their cable. Easy to pull with good flex. Cable is of highest quality and the seperator inside the cable makes it easy to attach network connectors. Excellent for running inside or outside of walls. This cable was much better than expected. I used it for multiple long runs and it pulled very easily through conduit. This is good cable. 23 AWG solid with a divider splitting the pairs and giving the cable more strength. I will be buying this again very soon. 4.000High Quality cable at affordable price! This cable is one of the better made cable I have seen. It has a nice solid jacket that makes it easy to pull cable in hard places. One problem I had with this product was the box. I had to tape the box closed in order to use it properly. Not worth taking a star off as the cable was fine and pulled very nicely. The cable is excellent. I received it in good packaging. I only made one cable so far and it was difficult at first but got a lot easier once I figure out how to do it. Cable is tested and works great. Good cable was exactly what I was expecting. Shipping was delayed through no fault of the seller or and I was sent daily updates during the delay to keep me informed - Hurricane Issac was the culprit. Cable arrived in a separate box so the cable box was undamaged. Cable fed fine through the box with no snags. Color was correct as was the cable grade. All in all good price for a good cable. Would buy again. I bought 2 x 1000 ft boxes to wire my entire house that is currently under construction. I liked that you could buy this cable in different colors so you could easily differentiate it from electrical speaker RG6 etc. Perfect for my home remodel. Arrived from on promissed date in great condition. Cable easily pays out of box with no kinks... My only observation is that the box did not hold together well as cable was used. I will definately buy again. I purchased this to wire up my home office. The cables were extremely easy to pull and wire up. They have an internal plastic rib that you can easily cut away as well as the standard rip line in the jacket. I had no problems with this cable at all. I purchased this product to wire my home both first and second stories. This cable is wonderful to work with and the price was spot on!!! You won't be disappointed!!! This cable is good and solid. Has a solid plastic core combined with fiber mesh as well. Strong yet flexable. Will buy agian!